And the search for hidden treasure. Twelve-year-old Shelby is looking for adventure. 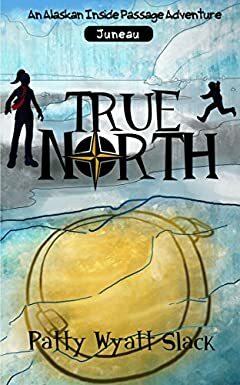 When the shiny object she finds frozen in a chunk of glacier ice hints at hidden treasure, she and her brother Cole rush to follow the clue. But they are not the only ones on the trail. Fighting the real dangers of Alaska's wilderness, they race to find the treasure before the man in the brown rubber boots gets it (or them).